The relationships between humans and aquatic mammals in the Neotropics has been important since archaic times in the American continent, but also varied across time and space, a fact taken on by this publication. In this book, the chapters were written by experts in the field of zooarchaeology, environmental archaeology and conservation biology and different lines of evidence and research questions are used to offer an archaeological approach to these long term relationships. One of the aims of this book is to discuss research questions, methodologies and results pursued and obtained across the different Neotropical regions. 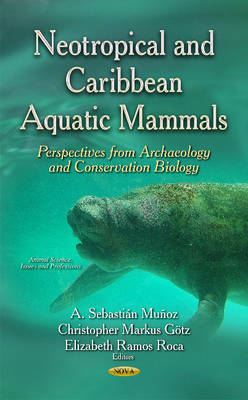 The range of variations in the zooarchaeological evidences that result from the aquatic mammal exploitation across time and space still cannot be clearly defined, and the book's chapters show clearly that different archaeological expectations on this matter seem to be linked to the ecological properties and internal subdivisions of the Neotropical region. Thus, the book leads the reader to consider the different ways humans impacted on aquatic mammal populations in both, the prehistoric and historic past. For that reason, we believe that the archaeological data can contribute to deepen the knowledge about the natural history of the Neotropical aquatic mammals, eventually even helping to evaluate the ecological status of aquatic mammals in different areas of this region.